African dwarf frogs from the Hymenochirus genus are a small frog species. 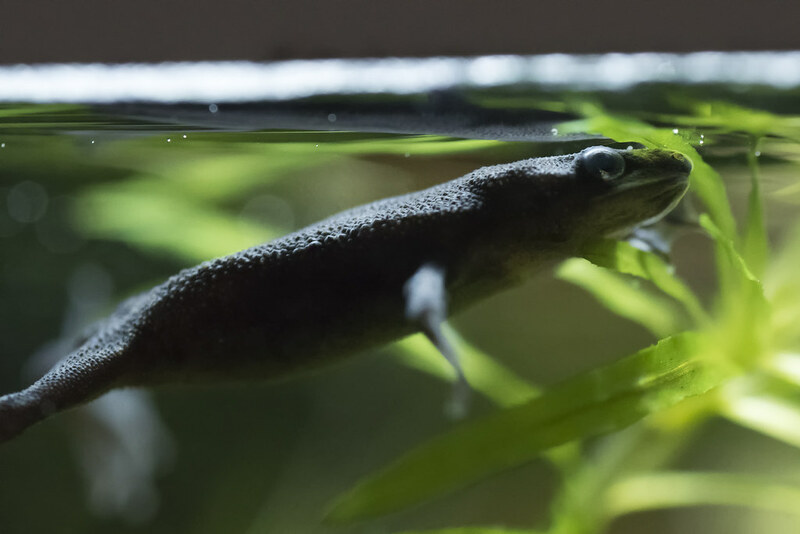 Their small size and silly looks have made them popular in the aquarium hobby, but unfortunately there is still a lot of misinformation out there about their requirements. African dwarf frog care is quite easy but there’s still more to it than some caresheets lead you to believe! 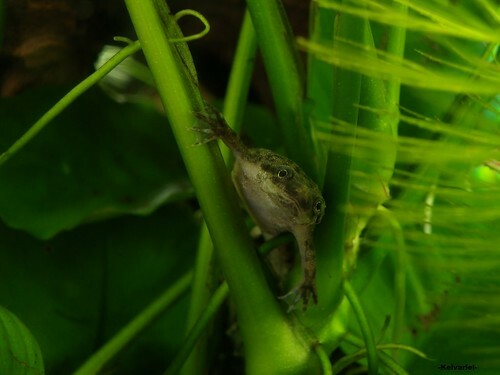 Keep reading for everything you need to know about African dwarf frog care and keeping African dwarf frogs in your own aquarium. Hymenochirus (boettgeri, curtipes, etc.). African dwarf frog, ADF, dwarf African frog, dwarf clawed frog. As their common name suggests, African dwarf frogs are naturally found in equatorial Africa. Here, they occur in rainforest pools and slow-flowing rivers that offer plenty of cover and hiding places. African dwarf frogs are small, brown-greyish frogs that grow to a maximum size of around 2 inches (5 cm). They are often confused with African clawed frogs, an entirely different species with different care requirements. Although African dwarf frogs also have clawed back legs they stay much smaller and are less aggressive than the larger African clawed frogs. When buying your frogs, have a close look at them to prevent buying the wrong species! African dwarf frogs have webbed fingers, African clawed frogs don’t. Sexing these frogs can be a little difficult, but females are larger and rounder than males and will rarely “sing”. Males have a small gland behind the front legs. Although African dwarf frogs don’t actually have that many requirements when it comes to housing there is unfortunately actually still a lot of misinformation out there. For example, many sites list a minimum of 5 gallons (19 L) to keep these frogs or even mention “1 gallon (3.8 L) per frog”. This is incorrect. African dwarf frogs are messy eaters and need quite a bit of space. 5 gallons (19 L) per frog is a good place to start, but these are social animals that should be kept in groups, preferably at least three. This means you’ll need an aquarium of at least around 15 gallons (57 L) if you’re interested in keeping them. Because they breathe air, a longer rectangular tank rather than a tall one is preferable. These frogs are naturally found in calm habitats that offer plenty of cover. Avoid filters with very strong flow and use live plants and hides such as these to imitate your frogs’ natural habitat and help them feel safe. Plant-wise, floating plants are especially appreciated and will be used by the frogs to hang out near the surface and easily go for gulps of air. Because medium sized gravel can accidentally be eaten and cause damage to the intestinal tract it’s best to use a sandy substrate. Like terrestrial frogs, African dwarf frogs are skilled jumpers. They need water to survive and will quickly dry out and die without it, so be sure to always use an aquarium lid to prevent your frogs from escaping. African dwarf frogs are often kept with Betta fish. Unfortunately these species are not compatible; the frogs are easily outcompeted for food and might be bothered by a nippy Betta. The average Betta tank is also not large enough to sustain a group of African dwarf frogs, so it’s just not an ideal situation at all. You can find a list of better Betta tankmates in this article. 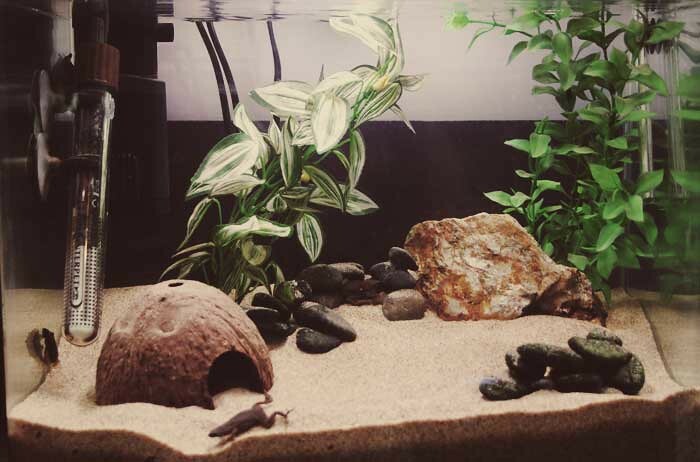 Because African dwarf frogs are easily outcompeted and pretty vulnerable, many aquarists choose to keep them in a single-species setup without any tankmates. If you do want to add other fish or inverts go for calm species and avoid anything that fits into a frog mouth. Schooling fish and bottom dwellers such as bronze Corydoras might be a good option. African dwarf frogs are carnivores that should be fed a protein-based diet. (Thawed) frozen foods such as mosquito larvae are a good option, as are various types of worms. Setting up your own worm culture might be a good idea if you always want to have plenty of worms on hand – it’s not a lot of work and your other aquarium inhabitants will love regular wormy meals as well. White worms are a great option. Keep in mind that African dwarf frogs are not the most skilled feeders. Just tossing food into the tank usually won’t be enough, as the frogs won’t notice it. This can result in bad water quality and skinny frogs, so an alternative feeding method is needed. Target feeding is a good option: place the food near the frog using a turkey baster or a pair of tongs and keep a close eye on it to make sure the food is eaten. Remove any uneaten bits as soon as possible to prevent rotting. Like many other aquarium inhabitants African dwarf frogs will eat anything they can find and keep eating until all food is gone. Juveniles can be fed daily but adults don’t need nearly as much food and are prone to getting fat. Feed your adult African dwarf frogs every other day or every two days to prevent obesity. African dwarf frogs are fun to keep and appreciated by aquarists for their often silly and awkward looking behavior. They spend much of their time calmly hanging in plants or hiding, occasionally darting to the surface to breathe. They can be very clumsy while feeding and might be spotted making strange movements during the moulting process! As long as all African dwarf frog care requirements are met, breeding shouldn’t be too much of a challenge. Although imitating the rainy season can help initiate the breeding process, this might not even be necessary. When ready to breed, female frogs will become considerably rounder and male frogs will start singing to attract a mate. The male will start the spawning process by tightly grasping the female. The frogs will then make their way to the water surface, where the female lays her eggs and the male fertilizes them. When the egg-laying process is completed the female turns to her back and stay motionless for a bit. Don’t worry, she’s fine! Be sure to remove either the frogs or the eggs to prevent the parents from eating their own eggs or fry. Tiny tadpoles will hatch after a few days and can be fed using infusoria until they are large enough to consume other foods. They can be moved back in with the parents once they have completed the transformation to small frogs. If you have any more questions about African dwarf frog care or want to share your own experiences with this adorably awkward aquarium inhabitant, don’t hesitate to leave a comment below. Hi, I’ve had a female African dwarf frog for about 2 and a half years now. Recently I’ve noticed that she won’t open her ‘hands’ on her front legs.. she keeps them clenched and moves and swims like that. She eats the same and behaves the same, she appears to look the same as normal other than that.. I’m just wondering if this is of any concern? I can’t really diagnose your frog without more information but I can unfortunately tell you that your aquarium setup is a bit of a mess. Goldfish cannot be kept with African dwarf frogs nor can you keep 6 goldfish in a 30 gallon. Fancy goldfish need 20 gallons PER FISH and common (single tailed) goldfish are not aquarium fish in any way, shape or form. They need 100 gallons per fish and should only be kept in ponds. So what I’d do before worrying about ANYTHING else is rehoming those goldfish as soon as possible. Almost everyone has a family member/friend/colleague with a pond, so if you don’t have one yourself you can try finding someone who does. Those goldfish should be out of there yesterday – they will die in there and so will the frogs if nothing changes. After the goldfish have been rehomed the frogs will likely feel better. 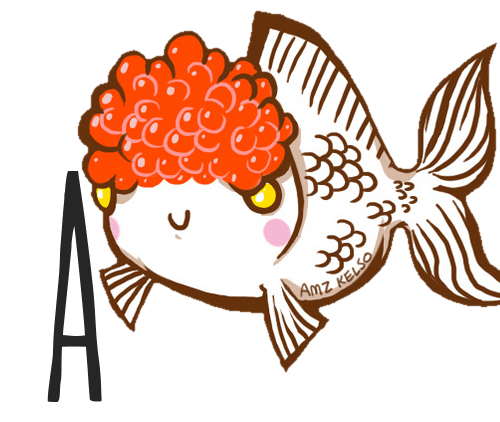 Don’t add any other fish; as discussed in the articles they do best without any tankmates. Good luck! I really hope you’ll take my advice.